As part of Children’s Mental Health Week, Sugarman Education is sharing tips for teachers, parents and children on encouraging health and wellbeing. Children’s Mental Health Week was set up by the children’s mental health charity Place2Be to shine a spotlight on the importance of children and young people’s mental health. This year’s theme is Healthy: Inside and Out where we are encouraging everyone to think about how they look after their bodies and minds. Place2Be have created a series of resources to help teachers, parents and children. 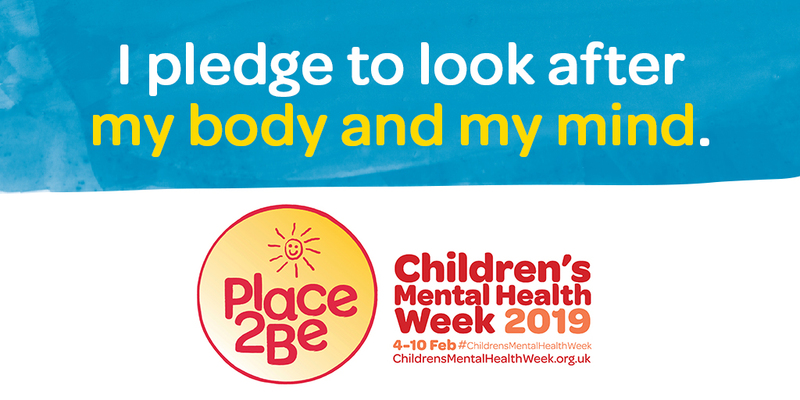 Today, we are sharing Place2Be’s Tips for Teachers guide on encouraging pupils to look after their bodies and minds. – Have a class discussion about what being healthy means. Talk about different ways that people can look after their bodies and minds. For more ideas you might be interested in Place2Be’s group activities resource, which you can find here. – Challenge yourself and your colleagues to try something new to improve your health. For example,walking everywhere instead of driving. You could download a step tracker and make it into a competition. Sharing the steps you’ve taken to stay healthy with your class can set a good example – but don’t be afraid to admit it if you’re struggling! It’s important for children to keep trying, even when things are difficult. – Remind them that there’s no such thing as a perfect body or mind – and no one is perfectly healthy. Pupils might be tempted to compare themselves to their classmates but it’s important to remember that everyone’s bodies and minds are different – and that’s something to celebrate. You can download the full Tips for Teacher doc here.